As an animal and nature lover I am thrilled to share about Storm Boy (2019) a new Australian foreign big screen family film opening at select U.S. theaters this Friday, April 5. The movie stars Aussies Geoffrey Rush (Pirates of the Caribbean: Dead Men Tell No Tales), Jai Courtney (Insurgent, Divergent, Jack Reacher), new comer young actor Finn Little, and others. Perfect for families and kids to see together this spring, this movie delivers an important message. 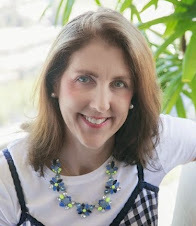 In an entertaining way children and parents will learn about kindness to animals and protecting wild animals, such as the world's various pelican species, to spark new conversations about animal and habitat conservation at home. 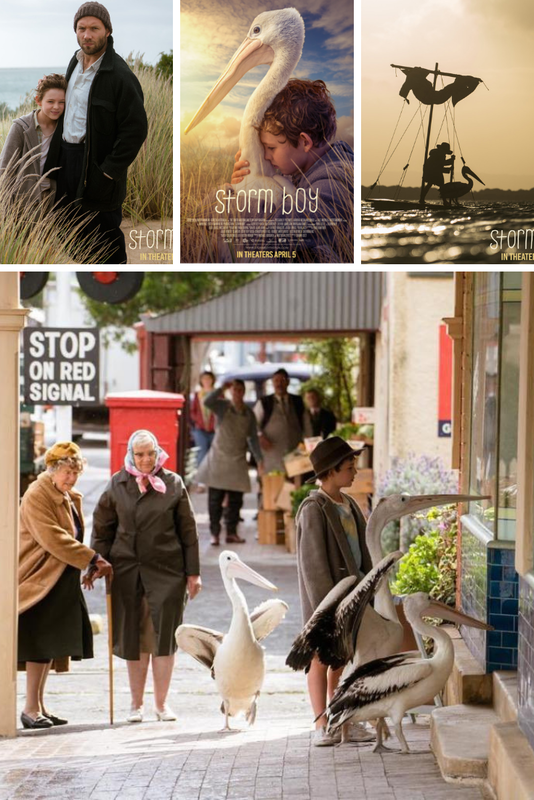 The new movie reframes the tale based on Colin Thiele's classic 1976 book, told as a modern day story from the point of view of the grown-up Storm Boy, Michael Kingley (Geoffrey Rush), who is now a grandpa. Michael, all of a sudden, starts getting bombarded with repeated visions from his childhood, of being with his own father living on a small town beach on the remote South Australia coastline. In the strongest recurring memories, he thinks back to rescuing three baby pelicans he finds in the sand, who have been orphaned. The young Storm Boy role is depicted by Finn Little, who started acting at 5 years old. 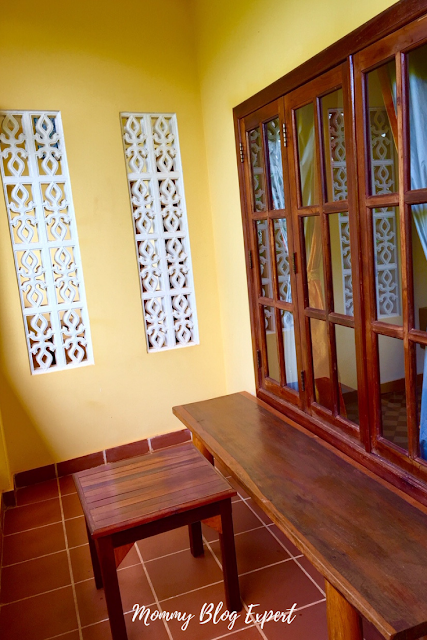 The events of the past continue to haunt him and begin to feel so real, eventually evolving into an urgency to share about these stories of long ago experiences and what he learned with someone who will understand. He finds the perfect audience in his rebellious, motherless teen grand-daughter Madeleine (Morgana Davies) who is estranged from her father. 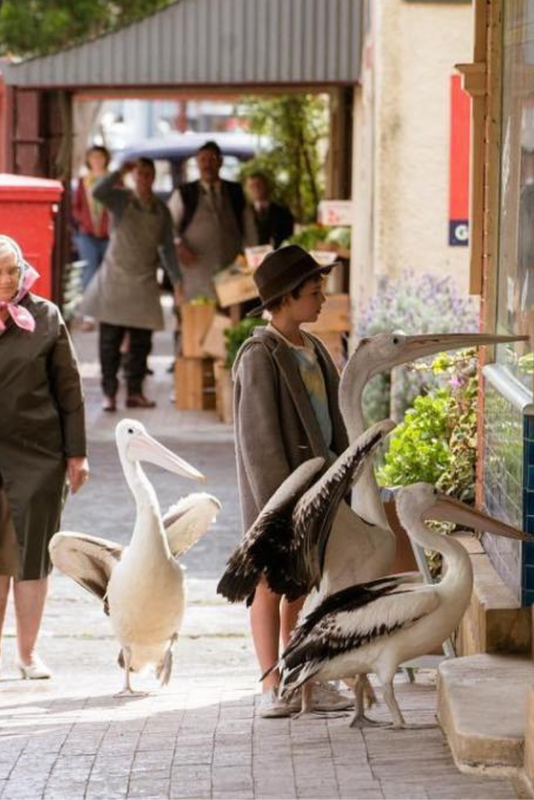 Grandpa then regales her with the childhood memories he can't stop thinking about, how he hand fed and raised this pelican trio to adulthood, and developed a particularly strong and special bond with the pelican he named Mr. Percival. It's a heart-warming story, a message about giving unconditional love, doing the right thing, helping another living being, and protecting nature. It is also a shining example of how important it is for older people to share childhood stories and valuable life lessons with younger generations to keep these ideas alive for the future. In the wild, the greatest threats to pelicans are habitat loss, hunting, human abuse, and pollution. 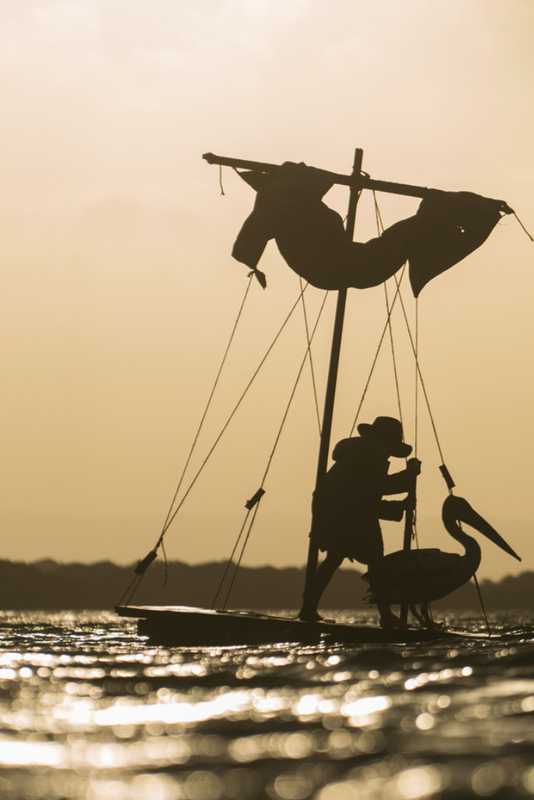 It goes without saying that protecting these beautiful oversized bird species is really important so pelicans will continue to survive for future generations to enjoy in their natural habitats. 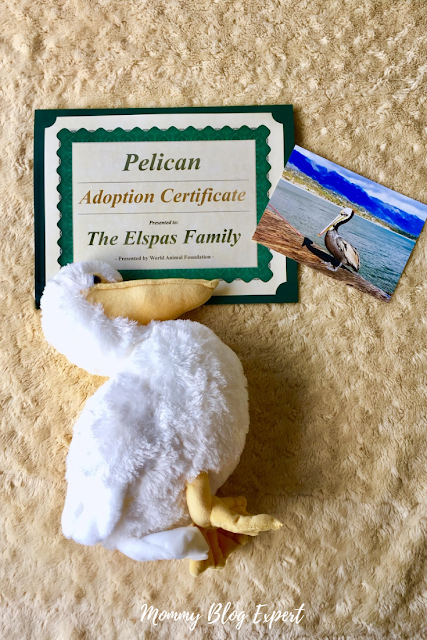 Thanks to Good Deed Entertainment, to help build awareness about pelican conservation along with the U.S. opening of the Storm Boy movie, I have adopted a pelican of my own. 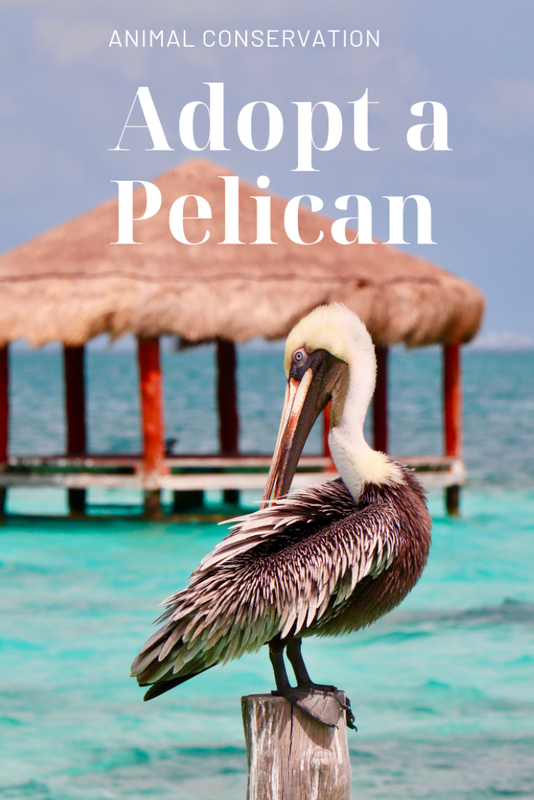 I invite you and your family to join me by also participating in the Adopt a Pelican program through World Animal Foundation. Storm Boy, from Ambience Entertainment with U.S. distribution by Good Deed Entertainment, is rated PG. The movie opens in select cities across America this Friday, April 5. 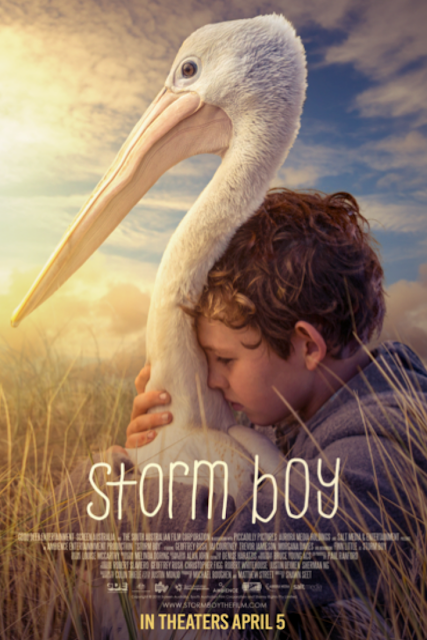 For more information on the film and lots of free fun and educational pelican themed kids activities, visit the official site StormBoyTheFilm.com. 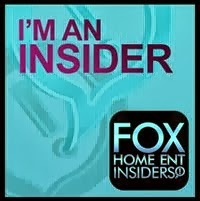 You can also stay up on all the Storm Boy movie news by following them on Instagram and Facebook. Visit World Animal Foundation for more information on how you can adopt a pelican and other wild animals. You can also access lots more educational material by following WAF's Twitter, Facebook, and Pinterest channels.Your donation to tax deductible to the extent of the law. The level of tax-deductibility depends on whether or not a free gift was selected and the amount donated.